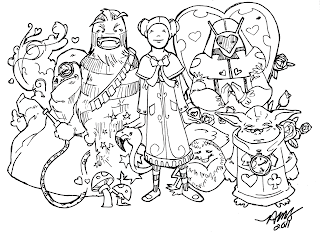 Here is the drawing I did tonight with some fellow artists. Special thanks go to Cory Kleber for his brilliant idea for this mashup. 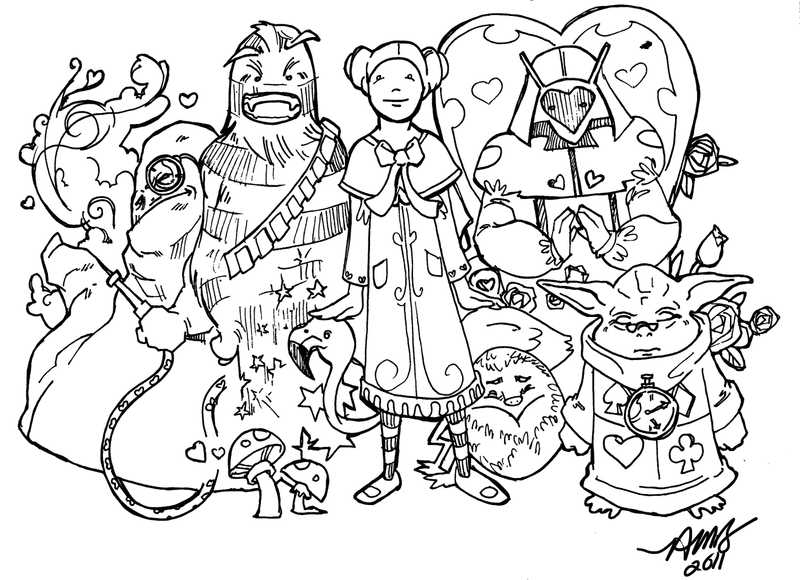 Alice In Wonderland meets Star Wars. i also want a print of this one!